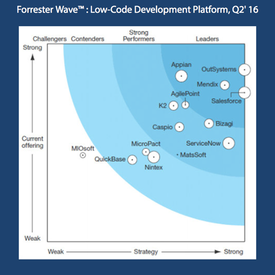 Forrester defines low-code development platforms as platforms that enable rapid delivery of business applications with a minimum of hand-coding and minimal upfront investment in setup, training, and deployment. The landscape is still in its early stages, but growing rapidly as vendors address this need at a steady pace. Apps are becoming the dominant form of digital interaction. In 2016, nearly 64% of the US population will use a smartphone on a regular basis. The number of smartphone users is expected to swell from 207.2 million in 2016 to over 241 million in 2020. As users call for more mobile applications, enterprises must develop a mobile app strategy to meet the demand. At Tap2Run we specialize in mobile apps. We can aid you to achieve your mobile app initiatives. We are certified OutSystems Platform developers. The low-code platform is aimed at getting your mobile application development project up and running quickly. Apps are delivered consistently across all smartphone and tablet devices. With OutSystems we can create, deploy, change, and manage your custom mobile and web applications 2x faster than with any other development solution on the market without compromising anything. We can create pixel-perfect UX for your apps and easily integrate with any system. 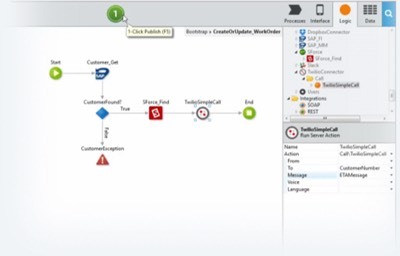 So whether you’re building an enterprise-grade, business-to-consumer app or a complex field service solution, we can help you do it all incredibly fast.